So you’ve taken that brave step into motherhood, whether it’s the first time or the third time, our jobs as mother’s are like no other. So what do you do with a newborn?! Well, so much and not so much at the same time. You’ll suddenly realize you spend your day, changing, feeding, burping, changing feeding, burping and again changing, feeding burping. Yes that’s right, and you’ll do it another eight times and then start all over again. Just when you think you’ve finally wound down and can close your eyes, it starts all over again. At first your day rarely ends and begins, it just keeps going round and round. When it’s your first, you’re terrified, but you get through it. When it’s your second, you’re terrified for you first, and again you get through it. When it’s your third, well its life as usual just with an extra little person swinging in the corner. At least that’s how it went for me. I have to admit I was a little worried with how our lives would change after having our third. Our girls are 8 and 5, and we were set with two, but one day we both looked at each other and said how we missed having a newborn around and just like that Tegan was here. Having a newborn in the family when you thought you were done is such an awesome addition to the mix. As exciting as it is when you have your first, it’s always just as exciting when you have your others. If you’re a seasoned parent things just come back to you. 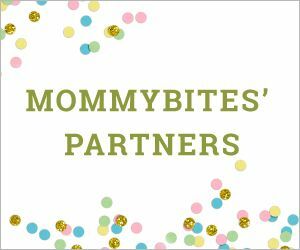 If you’re a new mom, here are some tips that helped me this last time around, take it from someone who has done it 3 times and finally got it (or at least I think). Sleep! You know how everyone tells you, sleep when your baby sleeps? Well take that advice. Sleep is so precious when you have a newborn. If your husband offers to do the night shift, let him! Unless you’re breastfeeding of course, this time around I chose to exclusively breastfeed so I didn’t really get to sleep much for the first 6 weeks. Read to your newborn. This sets the stage for Early Childhood Literacy and gives you some quiet time with your little one. Read when they are awake, eating and sleeping it doesn’t matter, your voice is always being heard. Routine. I know its difficult to put your newborn on a routine, but you can at least get one going for yourself. I know it sounds silly but set aside time to shower, eat, read and run an errand or two. Creating a schedule around your newborn will keep you sane. Make a little noise. If you keep it too quite your little one will wake up at any little noise they hear during sleep. Let them cry a little. I’m not saying you need to let them get hysterical but don’t rush the moment you hear them crying. I made that mistake with my first two and every time they cried I had no choice but to calm them down because they never learned on their own, with Tegan I’ve learned that the crying was sometimes a bad dream that lasted a minute or just her way of making some healthy noise. At five months old that’s the only way she gets herself to sleep, a few whimpers and she’s off in dreamland. While these tips worked for me, you may have to find your own comfort zone. But it’s always nice to find some comfort from those who have experienced what you’re about to go through.